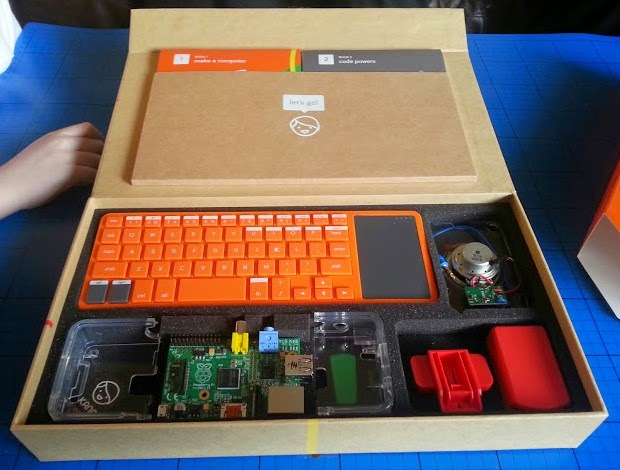 As promised, I am delighted to be able to offer one of my readers the chance to win your very own Kano Computer Kit. 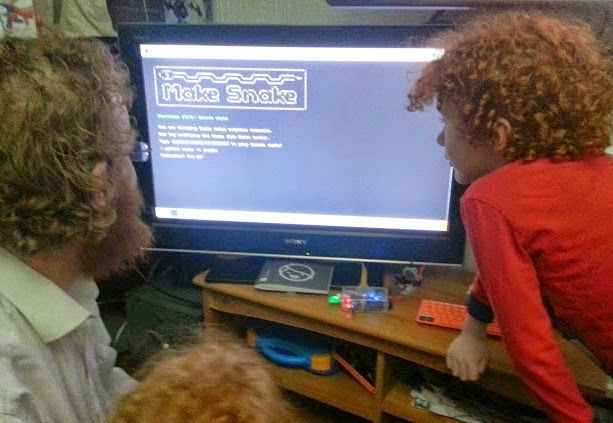 We adore ours, I haven't ever seen my 6 year old so keen to 'play' with something ever, and he's learning incredibly valuable skills as he plays. 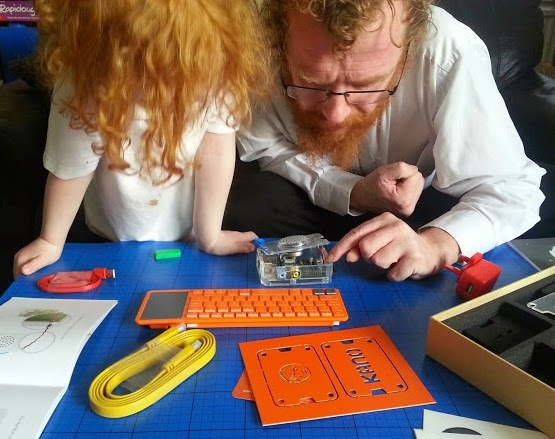 Designed with children in mind, the Kano kit contains everything you need to get started in the world of coding and computer programming - you can be the one making the games and apps., and not just playing with them. Included in the kit are a Raspberry Pi, cables, a case, a keyboard with mousepad, a speaker and two incredibly clear instruction manuals to guide you along. First task is to build your own computer, and then you start to learn how to adapt games by changing parts of the code. The system has several pre-installed apps. and games using the Python programming language, including Snake, Pong and Minecraft. UK schoolchildren are currently behind a lot of the rest of the world when it comes to computer skills. We teach our children to use Word, and Windows, but what we really need are for them to be able to understand how and why computers work, and we need people who will be able to write new applications and programs in the future. For your chance to win your own Kano Computer Kit worth £119.99, please enter using the Gleam form below. The giveaway will end on Sunday 26th April at midnight, after which no more entries will be accepted. Full terms and conditions are shown on the Gleam form. UK entries only. Would have to be pink of course! Grey, dark grey and light grey. Classic! I'd probably choose purple because purple is the answer to all colour related queries, right? It would have to be purple for me! If it was for me, then it would have to be pink! Green and other pastel colours so it is quite restful. Turquoise would be nice but it's more about the contents of the kit rather than the colour. I love that the orange of this is quite far removed from the typical colours of most computers so I think I'd carry this on and go for neons - lime, acid yellow and shocking pink. Purple - brilliant for boys or girls! well being a girly girl it would have to be pink! I'd go for very shiny gold and silver metallics. Would have to be Purple ! I'd love a silver & black one! I'd have a nice bit of wood, silver and a pop of colour, maybe purple. I think Purple and Black, a gothic computer! Any colour apart from pink would be great please. It would have to be blue! Grey with electric blue trim. I think silver and purple would look really nice. Neon colours! Oh, that glow in the dark! green red blue yellow. the whole rainbow spectrum! Definitely all the pastel colours - mint, peach etc. I would choose pink and glitter as it would be for my niece. I'd be going with pink and purple because they're my nieces' favourite colours and I'd be making it for them. They've moved to live with my mum because their parents can't care for them. I know she'll do a great job raising them, but she's only just able to use an iPad to get on the internet, so she is really lacking in computer skills. When we were young, she got us computers and we taught ourselves, with quite a lot of success. But I don't want my nieces to miss out and, as I live in a different city, I can't sit down with them and teach them as much as I'd like. So I'm hoping a kit like this will be doubly useful in helping my nieces but also help my mum to learn a little about coding too, so she'll be able to better support their coding and tech needs as they grow up, because she'll understand it more. Right now the jargon just scares and confuses her, so learning to code with my nieces will be a great way for her to grow at the same time that they do. Browns, they would not show up the grubby fingerprints as easily! Black and yellow as It's the colours from my all time favourite computer game "Elite"
Purple, I love purple! And maybe gold, so it could look a bit regal! Where can I buy such a set? I would love to give it to my children.